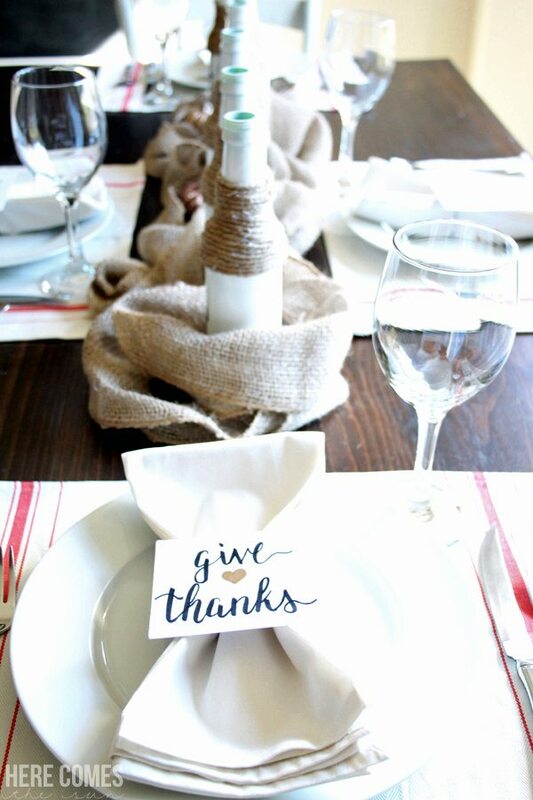 Although Christmas is sneaking up on us, I’ve been focusing on Thanksgiving this week on the blog. I don’t think Thanksgiving gets enough credit. I, personally, think it’s a wonderful holiday. Eating gobs and gobs of not-so-healthy food is acceptable, collapsing into a food coma on the couch is the norm, and indulging in a full day of football is non-negotiable. If you want to have time enjoy all that Thanksgiving Day has to offer, you shouldn’t be spending a whole lot of time prepping the table. 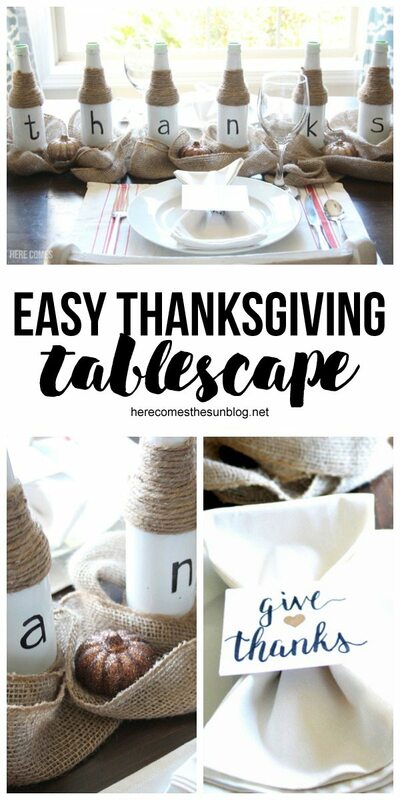 So I’m here to show you how you can make an easy Thanksgiving tablescape in no time flat. 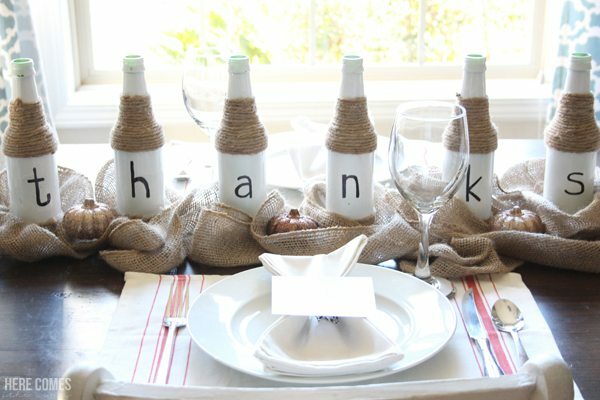 This Thanksgiving tablescape came together in minutes. I used everyday materials that you probably have in your house. First, start with festive placemats. I got mine from Target. I like them because they can do double duty for Thanksgiving and Christmas. 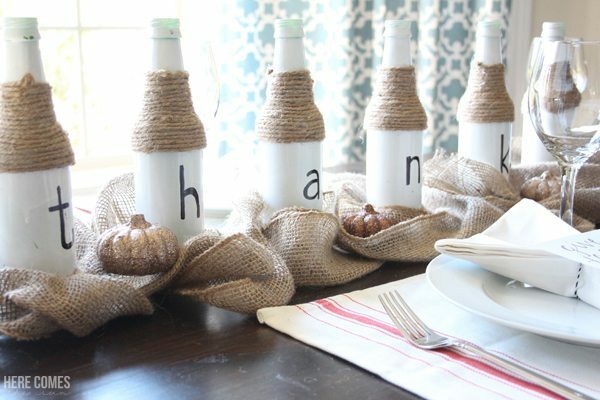 Next, add white plates, napkins and some Thanksgiving place cards. 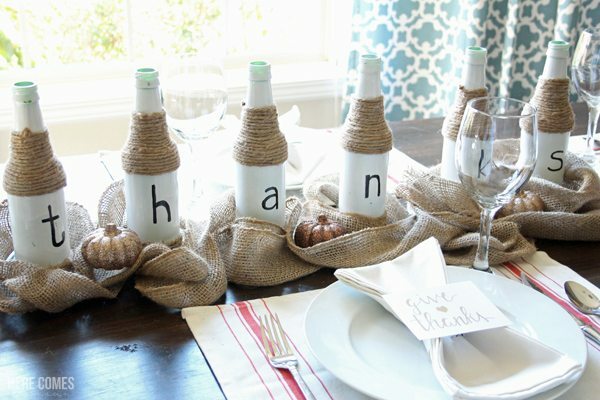 For the centerpiece, I used a roll of burlap, some sparkly pumpkins and my “thanks” bottles that I made years ago. 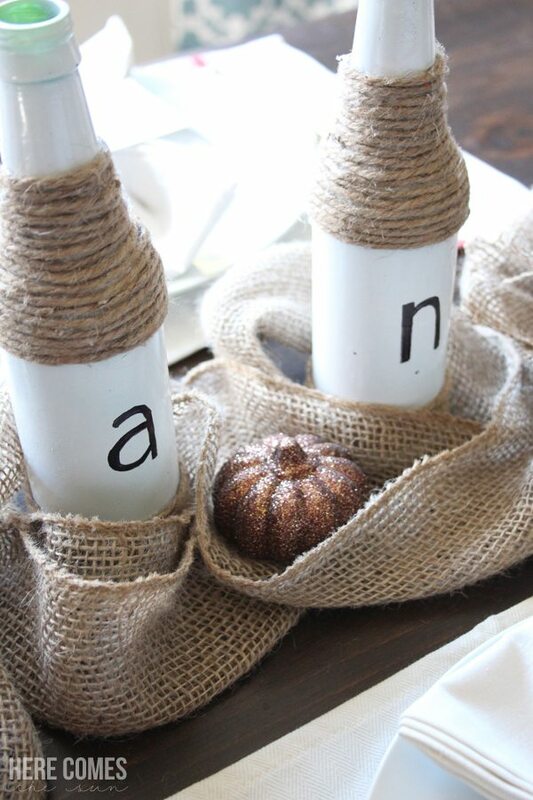 if you don’t have the supplies that you need to make these bottles, you can use whatever you have on hand to spell out a thanksgiving message. My Thanksgiving tablescape is complete and didn’t take a lot of time and money. It is a simple and a reminder that the most important part of the day is spending time with family and friends. And football.